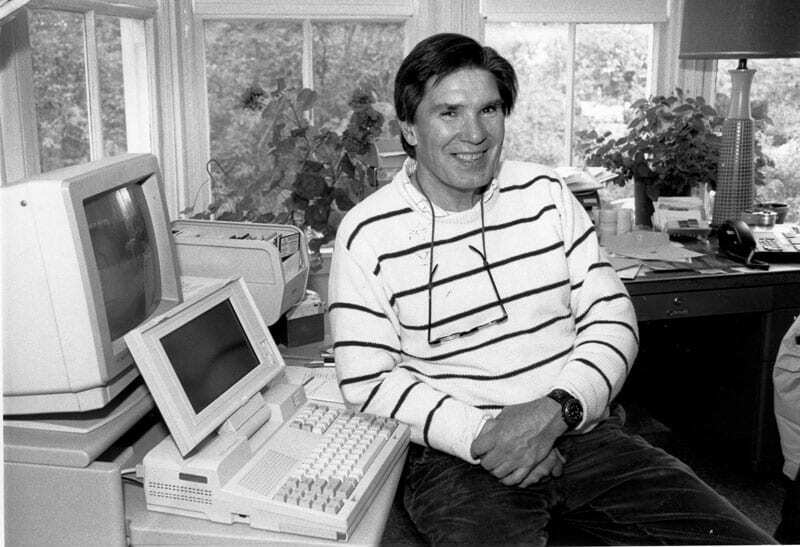 Over his more than 40 years as a scientist at Woods Hole Oceanographic Institution (WHOI), William Watkins led the effort to collect and catalog the vocalizations made by marine mammals. In the last decade of his career, he strove to digitize as many of his recordings as possible, with the goal of making them publicly available. Watkins passed away in 2004, but his ambition for his collection has finally been realized. 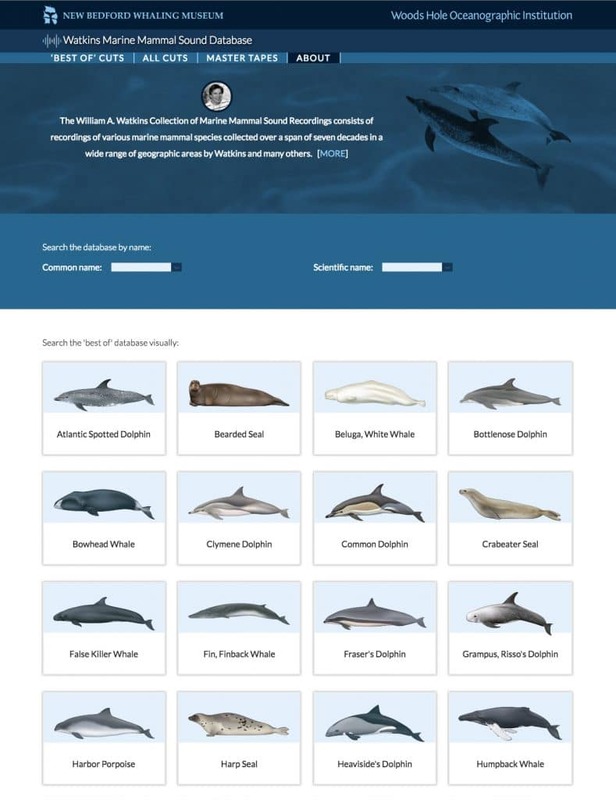 With support from the WHOI Marine Mammal Center, a team from WHOI has launched the online, open access William Watkins Marine Mammal Sound Database. Bill Watkins helped pioneer the field of marine mammal bioacoustics, developing the first tape recorder that could withstand being taken out to sea. During his long career at WHOI, Watkins made thousands of hours of underwater recordings of whales, dolphins, and other marine animals. Toward the end of his career, Watkins combined his own recordings with those of other scientists into a vast audio library. 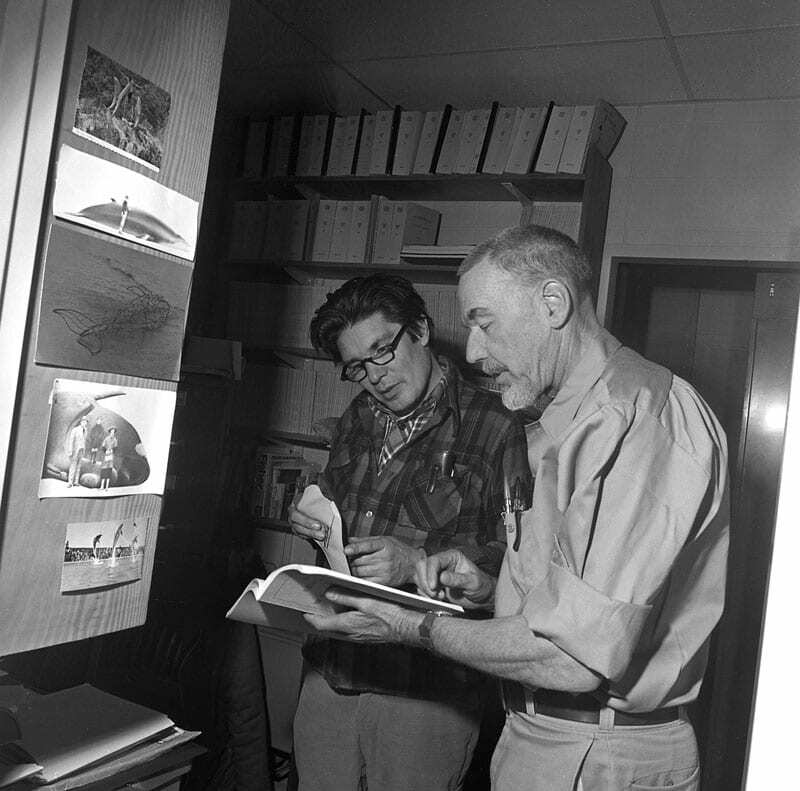 His collection includes the first recordings of several species, among them, the first ever underwater recording of any marine mammal: a beluga whale, taped in 1949 by Watkins’ mentor and longtime research partner, WHOI marine biologist William Schevill. In all, the audio archive includes sounds of more than 60 species recorded over seven decades by Schevill, Watkins, and other scientists, among them G. Carleton Ray, Douglas Wartzok, Melba and David Caldwell, Kenneth Norris, and Thomas Poulter. It was Watkins’ wish that the recordings be made freely available to everyone. With funding from the WHOI Marine Mammal Center, Sayigh and her WHOI colleague, marine biologist Michael Moore, helped spearhead the development of a website that could serve as an online home for Watkins’ collected recordings. The nuts and bolts of the website were developed by WHOI Information Systems staff Julie Allen and Helen Gordon, who converted an outdated DOS-based database structure into a format accessible online. Katherine Joyce of the WHOI Graphic Services Department created the online interface. The team built on work by Peter Tyack and Mary Ann Daher, who collaborated with Watkins and were involved in early efforts to preserve his recordings and make them available online. The William Watkins Marine Mammal Sound Database includes approximately 1,800 complete master tapes, along with more than 10,000 extracted digital sound clips. The metadata files list the common and scientific name of the species heard on each recording, as well as the date and geographic location where the animals were recorded, and other information noted by the researchers. Watkins’ physical collection of recordings was donated by WHOI in 2014 to the New Bedford Whaling Museum, and is held as the William A. Watkins Collection of Marine Mammal Sound Recordings and Data. Christina Connett, the museum’s curator of Exhibitions and Collections, says the archive will serve as an important historical resource for whale research and conservation—as well as for the general public. “There are at least 2000 reel-to-reel tapes, drawers and drawers of VHS tapes, so we’ll be working with various other partners, digitizing those before they completely degrade,” Connett said. “We will also have material accessible in the museum as interactive audio components.” The public can listen to some of the recordings at a kiosk in the Museum’s new media lab and in the whale ecology exhibits and see some of the instruments developed by Bill Watkins on display in the Jacobs Family Gallery. Screenshot of the homepage for the Watkins Marine Mammal Sound Database.